Sailing the majestic waters of the world's most famous harbor, nothing tastes better than sipping a cold brew while taking in the view. Join the Craft Beer Tasting Sail aboard the Clipper City Tall Ship on a one of a kind weekend specialty sail, tasting locally brewed craft beers. Help raise the sails or take a turn at the helm! With over 1,500 brewers now making delicious brews all over the country, choosing and appreciating beer has become an art form to rival its cousin - wine. Taste several outstanding ales and lagers paired with cheese and charcuterie while you drink in the magnificent views of the NYC skyline. 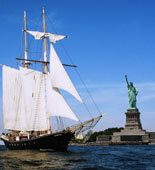 Enjoy breathtaking close-up views of Lady Liberty and the Brooklyn Bridge. 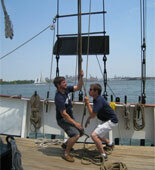 Few people ever have the chance to sail aboard a tall ship. 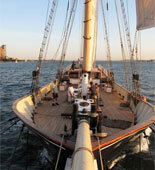 The newest (and by far the biggest) addition to the fleet, the topsail schooner Clipper City allows you to do just that. An imposing 158-ft. long, with masts and rigging reaching up 120 feet from the deck, New York's largest and most elegant sailing vessel can accommodate up to 150 passengers. 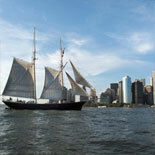 See New York City in a whole new way! 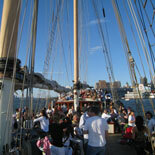 Make your reservations today, get your eTickets for the Craft Beer Tasting Sail aboard the Clipper City Tall Ship and set sail through the famous NYC harbor! 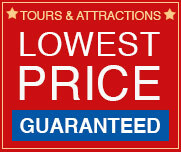 This tour is seasonal and operates May 1 through Oct 14. Every Sat at 11:30am. Please arrive 30 min before departure time to get your boarding pass and then board. 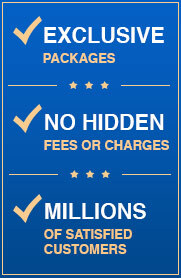 Exchange your eTicket for a boarding pass at the Clipper City ticket booth located at Slip 1, Battery Park. Child's age: 12 years and under. Reservations are required at least 48 hours in advance of desired cruise ~ Please arrive 30 minutes prior to departure time and stop by the Manhattan by Sail/Clipper City ticket booth located at Battery Park to exchange your voucher for a boarding pass. You must have your boarding pass with you in order to board the Clipper City.